I am a big, big fan of food. This is hardly surprising, I know. When I sit down for a meal, I’m pretty sensible with my portion sizes. My downfall, however, is nibbles. I love ’em. So now, as we enter the party season, I’m surrounded by yummy tidbits and oh, the temptation! Anyway, of the 47 recipes submitted last week, a good few looked just perfect for laying on as part of party spread and a handful actually looked pretty healthy! So, here they are in all their nibbly glory. 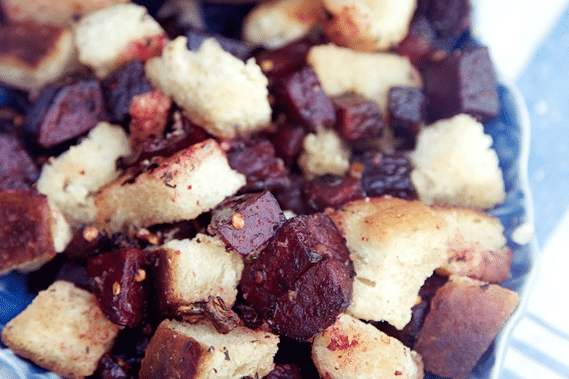 First up, we have Beetroot Party Nibbles from Capture by Lucy. Made with fresh beetroot and crusty loaf baked in chilli and olive oil, these little treats look as good as I imagine they taste. I’m coming round to your house for nibbles soon right, Lucy? 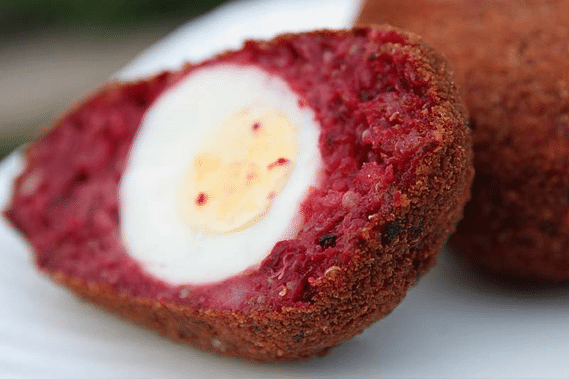 Next up, Vegetarian Beetroot Scotch Eggs from Allotment 2 Kitchen. Made with Quinoa, beetroot, curry spices and chickpeas, these aromatic treats look fabulous. I reckon they’d be wolfed down by everyone, not just the veggies! 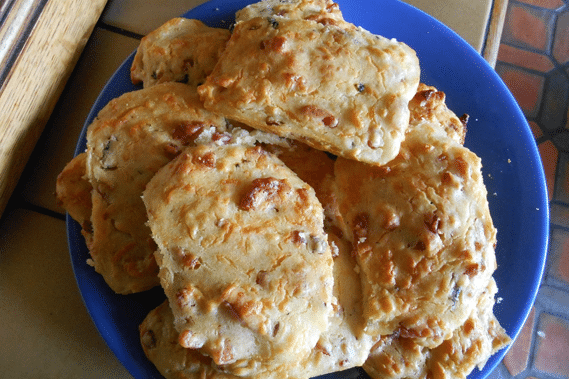 Finally, I’m extremely impressed with these Cheesy Bacon and Mushroom Biscuits from Madhouse Family Reviews. Her savoury cookies are a thing of beauty, and I reckon they’d disappear from the party plate faster than you can say ‘low fat yoghurt’. Meaty, vegan, fatty, low-calorie – all recipes are welcome, old or new, just please don’t add posts you’ve already added in a previous week. That’s the only rule, really! 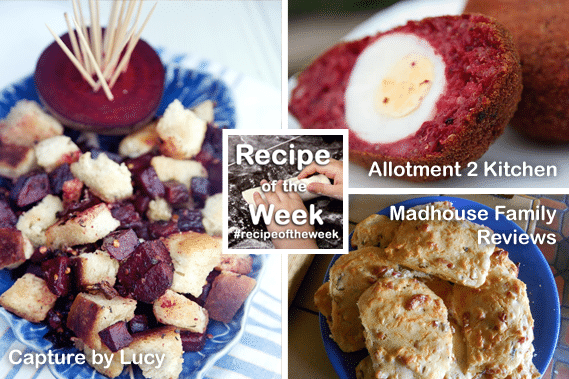 More yummy inspiration this week Emily – I loved Lucys nibbles – can’t wait to look through this weeks. Thanks for hosting :) See you tomorrow? I’m not a beetroot bird unfortunately, but these do look awesome. Thank you so much for showcasing my recipe along with the others, really humbled. And thank you for hosting too. Like visiting new blogs.